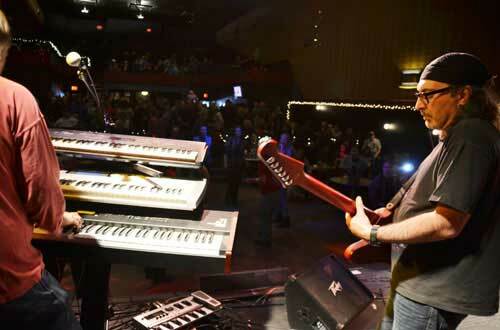 File photo: The Dave Viterna Group, shown performing here in the Medina Theatre on March 22, 2015, kicks off the concert series at the Orleans County Marine Park on July 11. POINT BREEZE – The Oak Orchard Neighborhood Association in partnership with Orleans County Tourism has announced the schedule for the 2017 Oak Orchard Summer Concert Series. 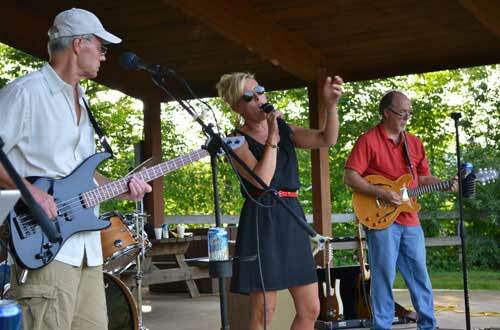 The six outdoor concerts are held Tuesday evenings starting July 11 from 6 to 8:30 p.m. at the Orleans County Marine Park on Point Breeze Road. Guests can travel via the traditional road route, or cruise in from Lake Ontario and the Oak Orchard River and dock at the marina or any of the nearby marinas. Admission is free to OONA members and seasonal OCMP dock renters. Otherwise it cost $2 for individuals and $5 for families. The event will include OONA business members serving food, and beverages. The schedule is subject to change. Visit “Oak Orchard Neighborhood Association” on Facebook for an up-to-date schedule. The Blind Leading the Blind, shown performing at the Orleans County Marine Park in July 2013, will be back for another concert on Aug. 1.